Rangers new boy Matt Polster has revealed he is excited to get started at Ibrox after sampling the atmosphere in the Gers' win over Hamilton. Polster, who had been on trial with Rangers, has penned a two-and-a-half year deal with the Old Firm giants to join from MLS outfit Chicago Fire. The defender is capable of playing in midfield as well and is expected to provide some much needed cover for a number of positions. 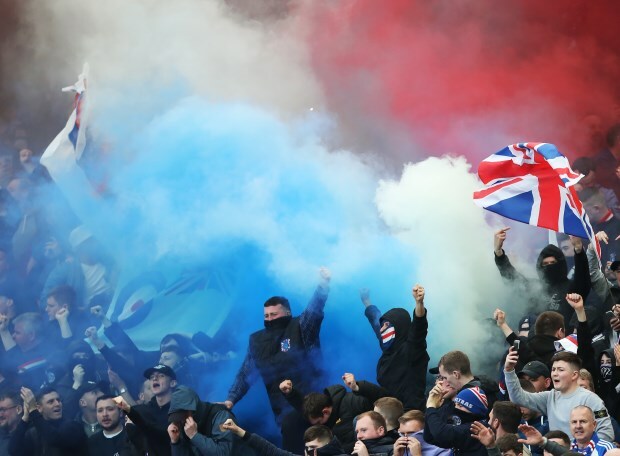 In the wake of his first ever move to Europe, Polster has revealed his excitement at the chance to play in front of the Ibrox crowd after experiencing a sample of the atmosphere last month. The 25-year-old attended Rangers’ win over Hamilton at Ibrox and tipped his hat towards the fans for being “amazing”, while also admitting he is excited to get started at the club. “First time I came on trial, we played against Hamilton and the atmosphere was incredible”, Polster told Rangers TV. Polster, who made his senior debut for United States national team last year, notched up over 80 appearances in the MLS for Chicago Fire.